Rainwater provided free and collected from roofs, can be a valuable source of water for residential or commercial purposes. Rainwater harvesting tanks can provide quality water, reducing reliance on complex and costly distribution systems, or can be an alternative to poor quality groundwater. 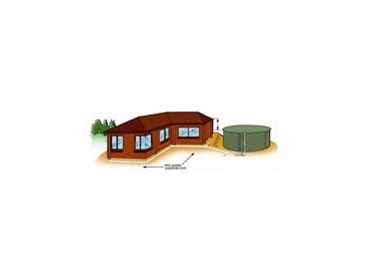 The Pioneer Galaxy tank provides an excellent water storage solution for all rainwater harvesting applications. The Pioneer range of water tanks is designed to be aesthetically pleasing, strong and durable and yet cost-effective to fit any project. Pioneer Water Tanks' tanks are finished in either Zincalume steel or a range of Colorbond steel colours. Benefits of a Pioneer water tank include the exclusive 5-layer Aqualiner which is certified to Australian, American and British standards for contact with potable water, and the commercial grade liner, the Industratex, also certified to Australian and American Standards.